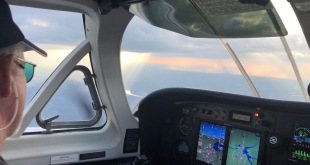 MIAMI — The Florida Highway Patrol escorted gasoline trucks to dry fuel pumps, SpaceX squeezed out a rocket launch, and officials in Georgia and Florida ordered thousands of people to leave the coast as Hurricane Irma barreled toward a collision with the U.S. this weekend. 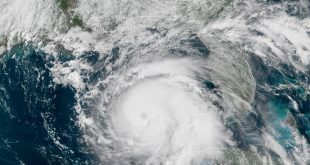 The National Hurricane Center issued a hurricane watch for the Florida Keys and parts of South Florida, the first of perhaps many watches and warnings along the Southeastern coast over the next several days. 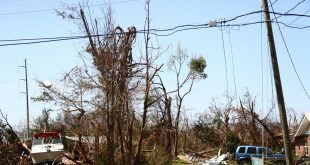 While people from Florida to North Carolina anxiously watched the behemoth storm, Irma battered the northern Caribbean, killing at least six people and leaving thousands homeless after destroying buildings and uprooting trees. The Republican governor acknowledged that traffic jams and gas shortages were “frustrating,” and said federal authorities and other states were helping to move more fuel into the state. He urged gas stations to stay open as long as possible. 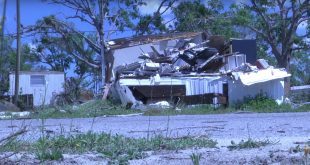 In the Keys, officials evacuated a hospital and planned to empty others along the chain of islands by the end of the day. Boats were tied down or taken out of the water. American Airlines, which has a hub in Miami, said its last commercial flight out of that city would be Friday. NASA secured Kennedy Space Center on Thursday for potentially catastrophic wind and rain, and SpaceX launched an unmanned rocket for an experimental flight. Kennedy closed its doors to all nonessential staff and a crew of about 120 people will ride out the storm on site. Most of the critical buildings at Kennedy are designed to withstand gusts of up to 135 mph (220 kph). Irma’s wind could exceed that if it reaches Cape Canaveral. With winds that peaked at 185 mph (300 kph), Irma was the most powerful hurricane ever recorded in the Atlantic. The U.S. National Hurricane Center said it could rake the entire length of Florida’s east coast and push into Georgia and the Carolinas, where governors had declared states of emergency. Florida’s governor waived tolls on all highways and told people if they were thinking about leaving to “get out now.” He warned that Irma is “bigger, faster and stronger” than Hurricane Andrew, the last Category 5 storm to hit the state. Andrew struck just south of Miami in 1992 with winds topping 165 mph (265 kph), killing 65 people and inflicting $26 billion in damage. It was at the time the most expensive natural disaster in U.S. history. Mayors in Miami-Dade and Broward counties issued mandatory evacuation orders for barrier islands and low-lying mainland areas. 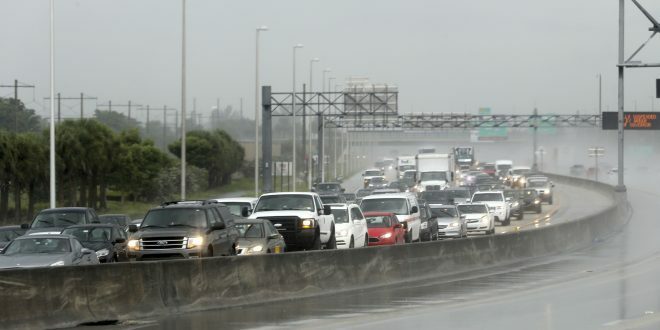 But because of the uncertainty in the forecast, state and local authorities in Miami and Fort Lauderdale held off for the time being on ordering any widespread evacuations there. President Donald Trump urged people to “be careful, be safe” during Hurricane Irma.